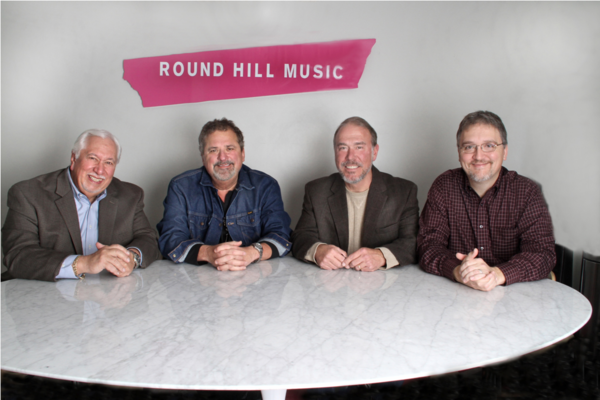 “I am so excited that Round Hill has acquired Bob DiPiero’s Love Monkey Music Catalog. It contains many of the Nashville Songwriters Hall of Fame member’s greatest hits in addition to the brand new single “Boys Like You” by Fancy, feat. Ariana Grande and Megan Trainer. It will be a blast to work with Bob and Leslie to exploit the many undiscovered gems that lie in this important catalog,” says Mark Brown, VP&GM Round Hill Music, Nashville. Among his other countless awards are 50 BMI Million-Air honors, multiple Songwriter of the Year awards and 2 consecutive Triple Play awards for 3 #1 songs within a 12 month period. Bob is the originator of the CMA Songwriters Series and has served as its Host for 10 years, bringing Nashville’s finest songwriters and artists throughout the United States and overseas to Belfast, Dublin, London and Paris. In 2007, he was inducted into the Nashville Songwriter’s Hall of Fame and Nashville’s Walk of Fame.